Malibu Chicken Tortilla Pinwheels are a fun lunch idea, inspired by a chicken entree at Sizzler restaurants. These are a great alternative to traditional sandwiches, but also perfect as party food. Even thought it’s back-to-school time, don’t make it back-to-boring lunch time. 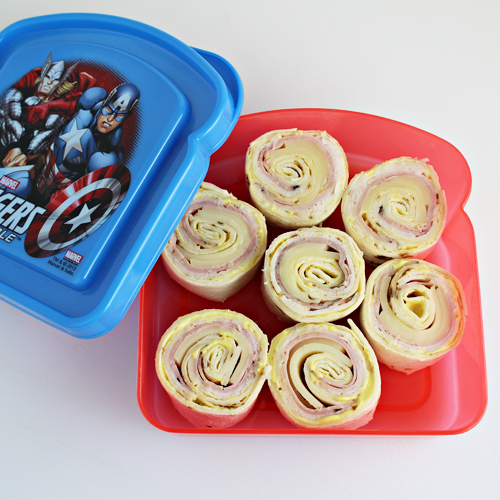 With with a little bit of planning, you can pack school lunches that are delicious AND fun! Today, my fellow #SundaySupper food blogging friends and I are sharing lots of lunchbox ideas. While they are perfect for kids who take a packed lunch to school, they really work well for anyone who packs lunch for work or other reasons. 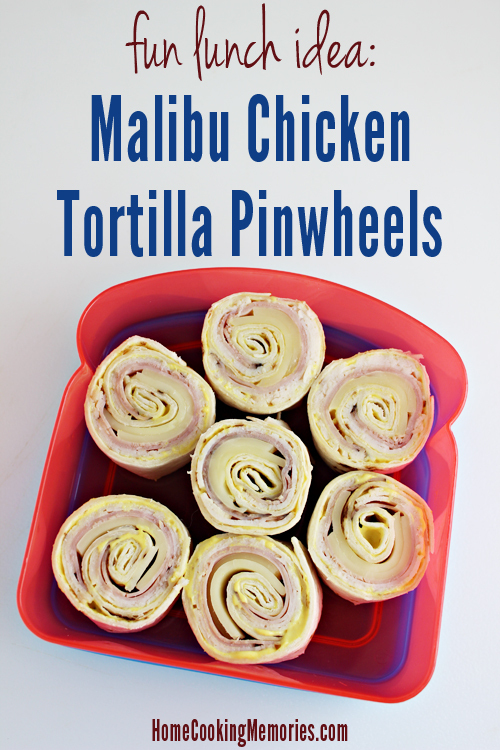 My contribution to our lunchbox #SundaySupper is Malibu Chicken Tortilla Pinwheels. The inspiration for these came from one of my favorite entrees at Sizzler restaurant. When David and I were dating, and in the early years of our marriage, we ate at Sizzler quite a bit. More often than not, I would order their Malibu Chicken. It was breaded chicken with shaved ham and melted Swiss cheese. It was served with a dipping sauce called Malibu Sauce, which was pretty much a mayonnaise and mustard mixture. I even make my own Malibu Chicken recipe at home for my family. There isn’t as many Sizzler restaurants around as there was when I was younger. We don’t have any in Las Vegas, so when we were in San Diego this summer, we ate at one. And, yep…I ordered their Malibu Chicken. It was at that dinner when I got to thinking how these ingredients would make a great tortilla pinwheel. 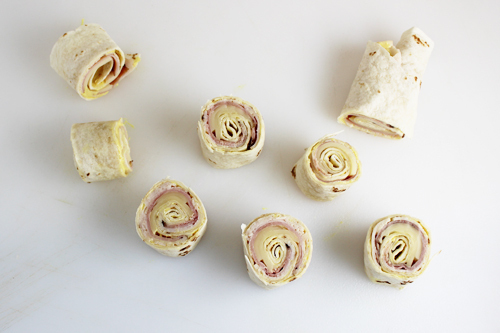 Tortilla pinwheels can include the same ingredients that go into sandwiches, but wrapping something up in a tortilla just makes it so much more fun for kids. Of course, these don’t have to be used for lunches. They are also great as appetizers when you need easy-to-handle party food. 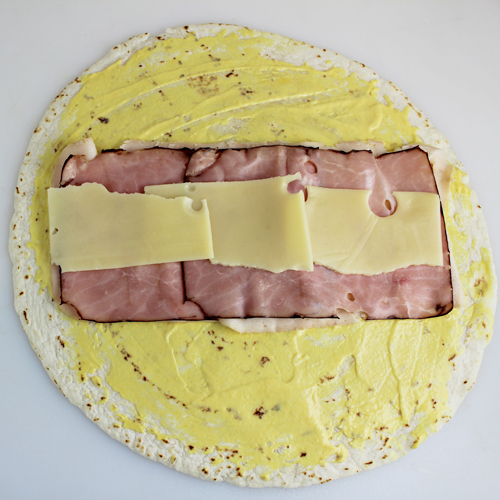 For Malibu Chicken Tortilla Pinwheels, you will need flour tortillas, sliced Swiss cheese, thinly sliced ham, and thinly sliced chicken. You will also need mayonnaise and yellow mustard. In a small bowl, you will mix together the mayo and the mustard. Some of the mayo/mustard mixture is spread on one of the tortillas (I would say 1-2 tablespoons). Then, chicken slices are laid down it the middle going across from left to right. The chicken is topped with ham and the ham is topped with Swiss cheese. The whole thing is rolled up from the bottom up to the top. The rolled up tortilla is refrigerated for a couple hours. After refrigerating, the rolled up tortilla is cut into pieces. I usually cut the entire roll in half first and then cut each half into smaller pieces. A 9″ burrito tortilla can usually give me about 4-6 pinwheels. The ends don’t make a nice pinwheel, so those are usually discarded and by discarded, I mean offered up to my husband. Pack up and you’ve got a fun lunch that’s easy too! 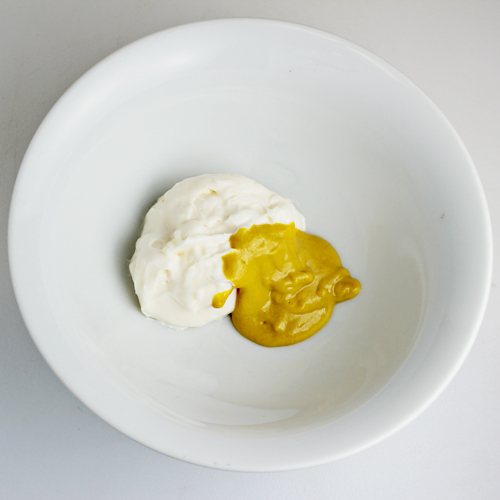 In a small bowl, combine together mayonnaise and mustard. Start with 1 1/2 tablespoons mustard and add more, as desired. Spread 1/3 of mayo/mustard mixture on 1 flour tortilla, almost to edges. Lay 2-3 chicken slices in a row, in the middle of the tortilla, going from left to right. Top chicken with 2-3 ham slices and top the ham with 2 slices of Swiss cheese. Roll up tortilla as tightly as possible (but without tearing tortilla), starting from the bottom and rolling up to the top. Repeat with remaining ingredients. If time allows, wrap the rolled tortilla in plastic wrap and refrigerate for several hours before cutting. If time doesn’t allow, skip the wrapping and refrigeration. 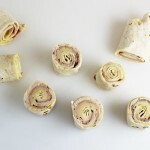 Cut rolled tortilla in half and then cut each half into rounds/pinwheels, approximately 1 1/2″ wide. With discarding the ends, you should end up with about 6 pinwheels. You had me at “Malibu,” since that’s my town! Oooh, Malibu! Lucky lady! I don’t really know how much about this is really “Malibu”, it’s something I’ve thought about over the years when eating Malibu Chicken at Sizzler, but I’ll go with it! Thanks Dorothy! I adore pinwheel wraps. They’re so versatile and delicious. Plus, they stay fresh in the lunch box. These look great! Love these rolls and would love them for my lunch 🙂 Pinwheels are so much fun! Such a tasty combo! Pinwheels do make anything taste better! Thank you for refreshing my memory with so many wonderful Santa Monica Sizzler memories. The restaurant no longer stands but I’ve got your inspired recipe =) Thanks, Brandie! Yum, yum, yum!! Love these little pinwheels. I make wraps for my daughter all the time but never cut them into pinwheels, thanks for giving me this idea. Perfect!! Totally reminds me of lunches Mom would pack for us! These look and sound so yummy! And what a fun reminder about Sizzler! 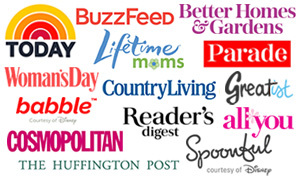 It used to be a favorite years and years ago, when we lived in Santa Barbara! You always have such good pinwheels. 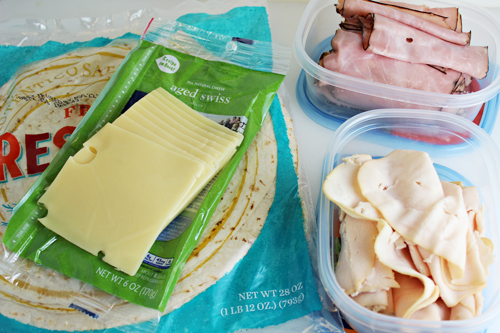 These are great for packing for lunch. Plus they are a nice alternative to sandwiches. My kids would love these..they look great! Fast and easy, Brandie! Make mine a Malibu! These sound like a great lunch, perfect for taking along to school. I love all of the flavors. I love pinwheels and yours look great! This would make a fantastic lunch!! First of all, loving the Avengers sandwich box. It’s awesome. Secondly, I’ve never had Sizzler’s Malibu chicken, but these pinwheels sound really good! Your pinwheels look terrific, Brandie! I want them for MY lunch!